It took 4000 people and $85 million dollars to build the mall. 2300 people staffed it when operating. The "long-awaited" shopping mall opened with a fund raiser and a store "viewing" - nothing was for sale. The next day, the mall opened for business and started making money. Just 22 years later, the area where all of this took place is still producing green. Not greenbacks anymore though - green grass. The ground is scarred with markings from where pavement and foundations once stood. The elegant opening parties are just a memory. 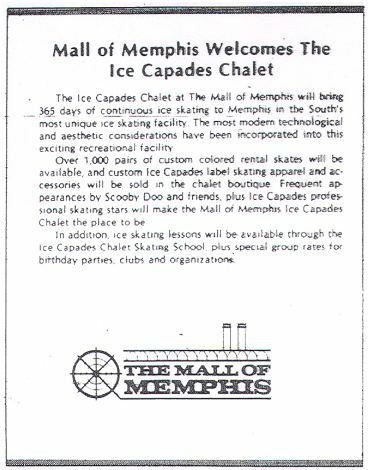 In the weeks before the mall's opening in October 1981, local newspapers ran full page ads for the mall. 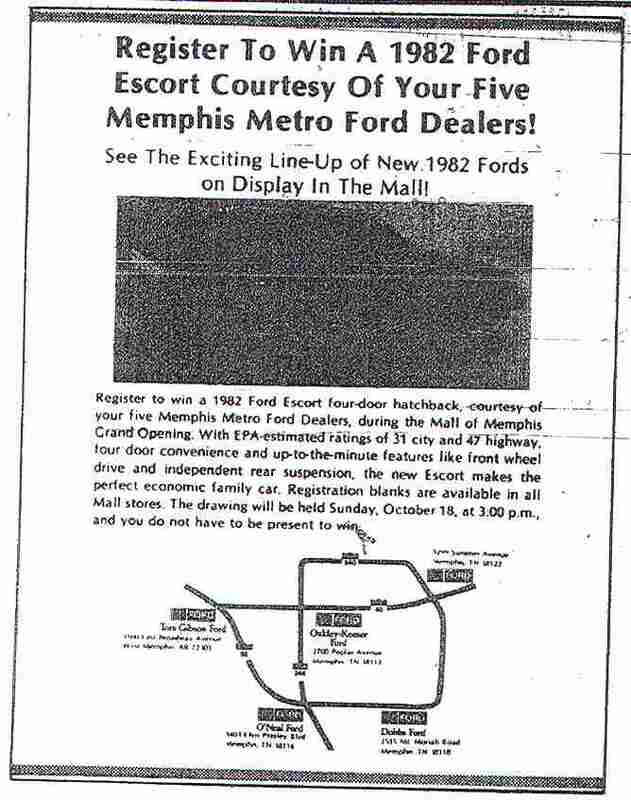 In what could only have been a schmaltzy advertising agency designed campaign, the ads featured "characters" that were to somehow create the desire in Memphians to shop the mall. 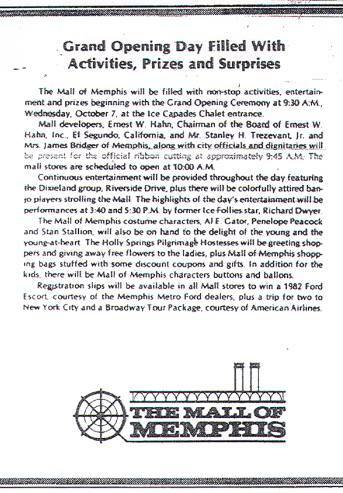 According to the ad below, on opening day they gave away "Mall character buttons" - if you have one, please share a picture. 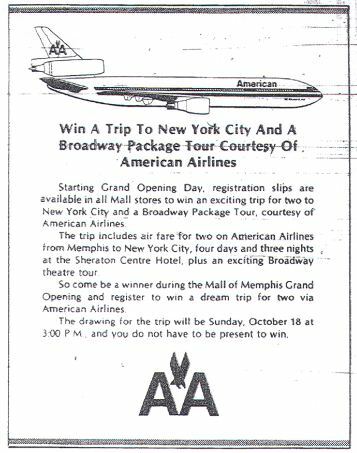 To see the characters go here Pre-Opening Ads. 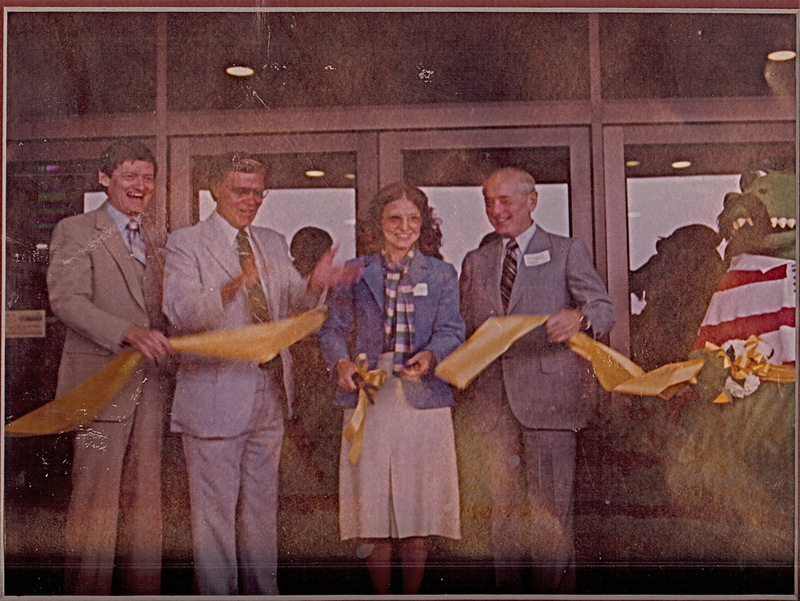 The first leasing agent for the mall was Goodman Segar Hogan, a Norfolk, Va.-based company that specialized in commercial real estate. 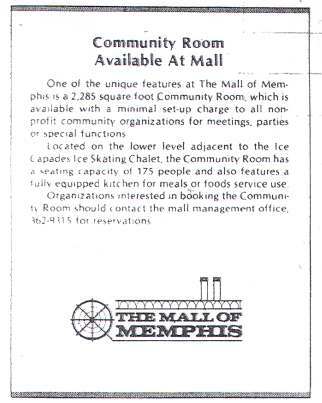 The Sunday Oct 4, 1981, Commercial Appeal carried an insert with malls ads, information and grand opening details. There were giveaways of trips, cars and other high value items. The Dixieland group, Riverside Drive performed - we have been uable to locate any information on this group.